The father and son team of Peter and Chris Colvin helps clients buy and sell quality single tenant net leased real estate. 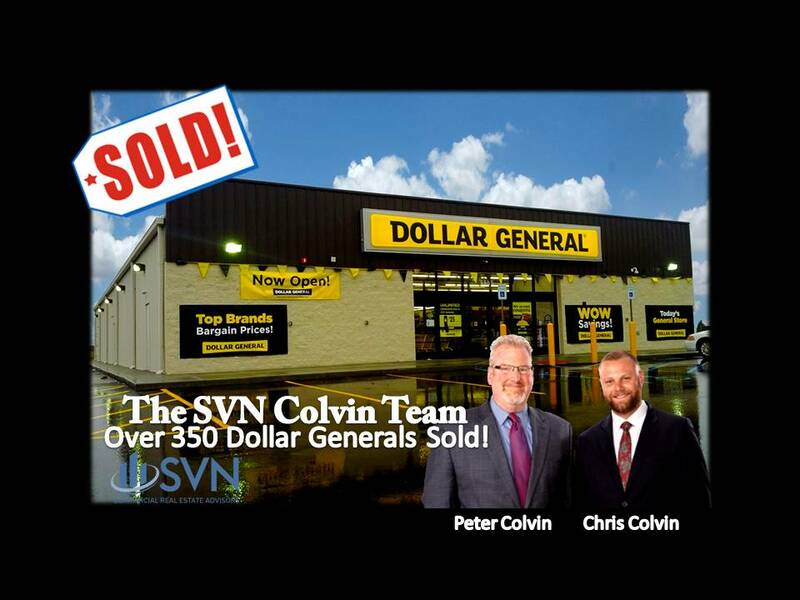 The SVN Colvin Team is a leader in the Single Tenant Net Leased Niche. Peter is known for being a “sure thing” for 1031 Exchanges. Peter provides excellent inventory and orchestrates the entire process for their clients. Peter and Chris founded Easy Leasebacks (www.easyleasebacks.com) to help growing companies fund their growth with equity from sale leasebacks. Peter is the Chairman of the SVN National Single Tenant Group. He is ranked in The Top 10 Advisors Globally for SVN. Peter has won numerous local and national awards and is a featured speaker at national events. SVN (formerly Sperry Van Ness) is a highly trained and experienced 1800 person team with over 150 offices in six countries. SVN is considered by many to be the best real estate advisory brokerage firm in America. The company achieves well over $10 billion in annual sales.